Well we are three days into September and I am working hard to put my stash to work. 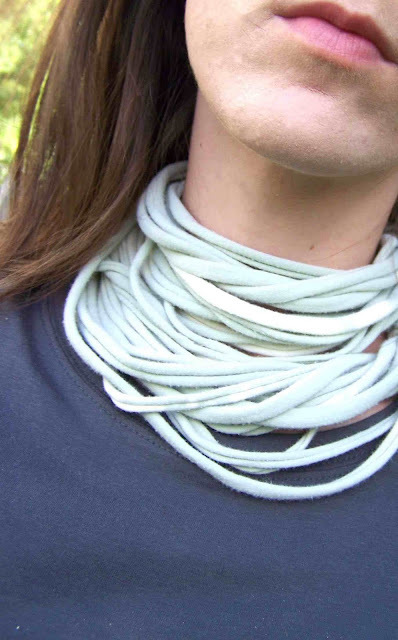 Today I'm going to show you how to make a simple scarf/necklush from an old T-shirt. Now I know that there are more beautiful jersey scarves out there, but I was amazed at how simple this was. It is such a quick project and can certainly be dressed up. The rest of my stash pile of old t-shirts might very well become jersey necklaces. I think that this is my first step in preparing for fall. This super soft knit fabric is sure to keep my neck warm. Want to make one for yourself? It is super simple. Click Read More for the full tutorial. The first thing that you need to do is select an old t-shirt that you are willing to donate to the cause. I first tried this project with an old Gap T-shirt, but I soon found out that not every knit will curl like I'd wanted it to. You need to find a very fine knit shirt. By fine I mean that the ribs are very small and the fabric very soft. It seems that the softer and the smaller the better. 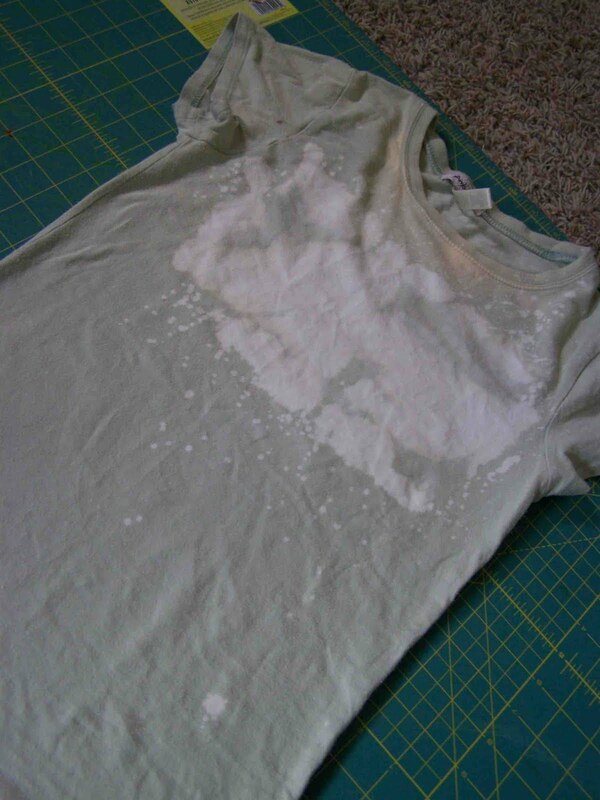 The shirt that I chose was a failed bleaching experiment. It was an XS making for a rather small scarf, but I still like it. 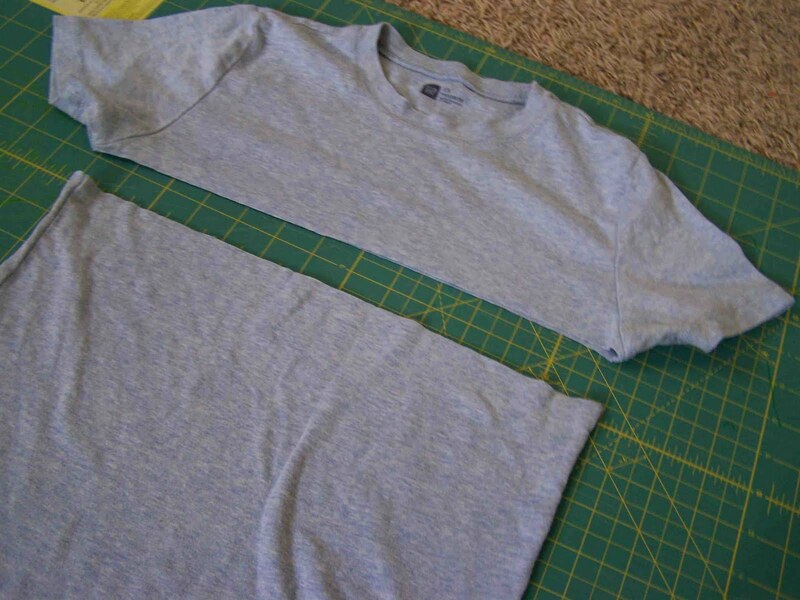 Once you have your shirt you will want to lay it out flat and cut it apart just below the arm holes. 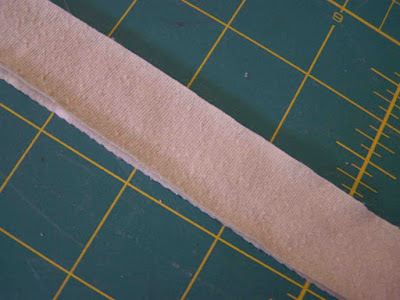 Next you will cut the bottom section into strips. I had 13" to work with. I ended up with 13 strips of varying widths (1/2", 1", 1 1/2"). Next I cut the sleeves and the neckline off of the remaining piece of fabric. 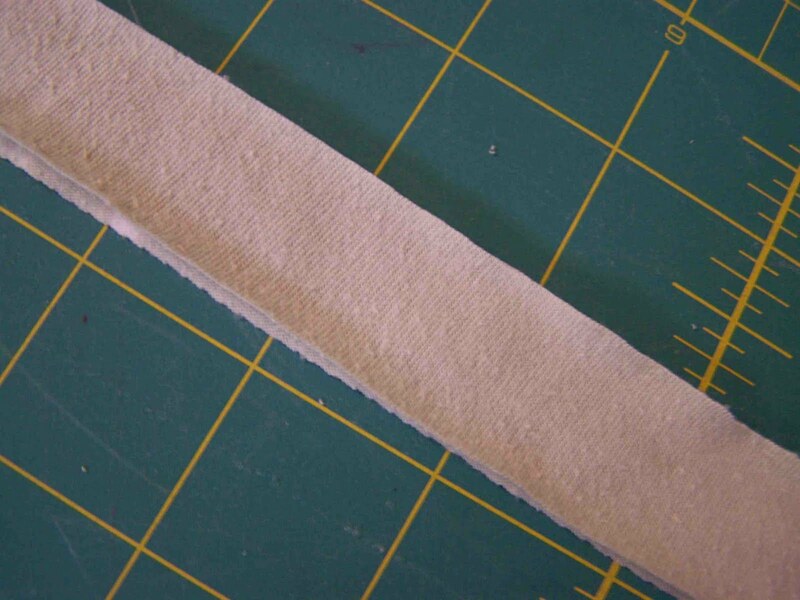 I then cut that piece into strips. 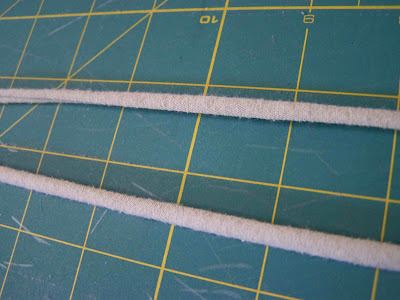 These smaller strips will serve as a knot to cover exposed seams, so set them aside for later. 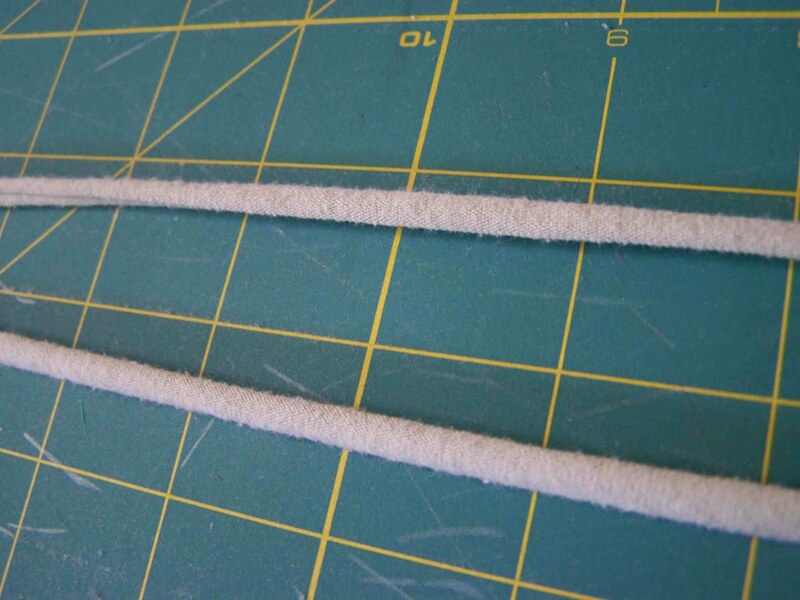 If you have selected an appropriate knit then your strips should curl easily when pulled. 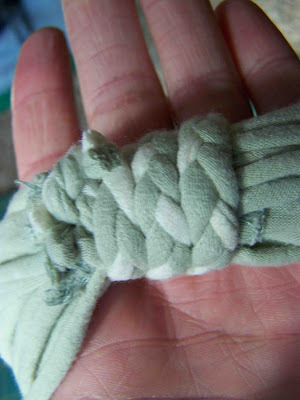 Grab the loops at either end and stretch. 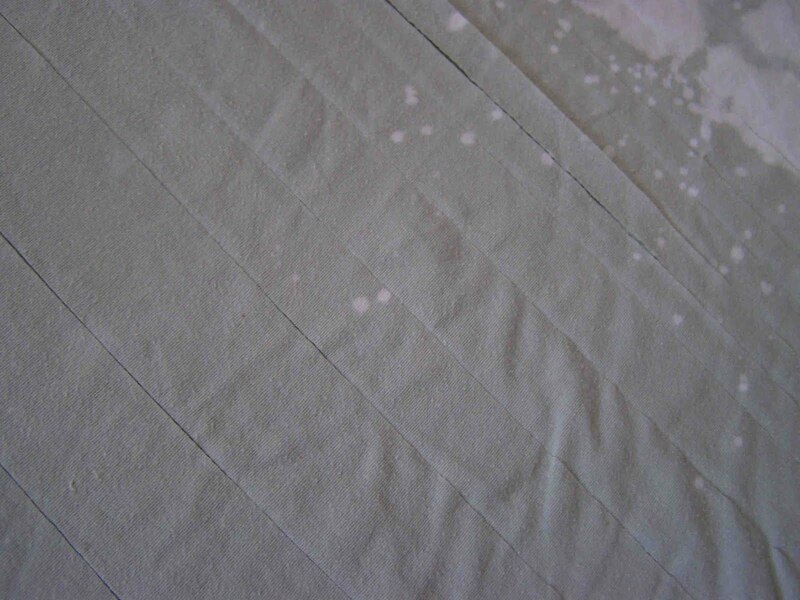 When the fabric is relaxed they will curl in at either end. Next gather your curled strands together with seams meeting up (the seams generally don't curl). Using the smaller strips of fabric (from the top portion) I made two long braids. One for each set of seams. 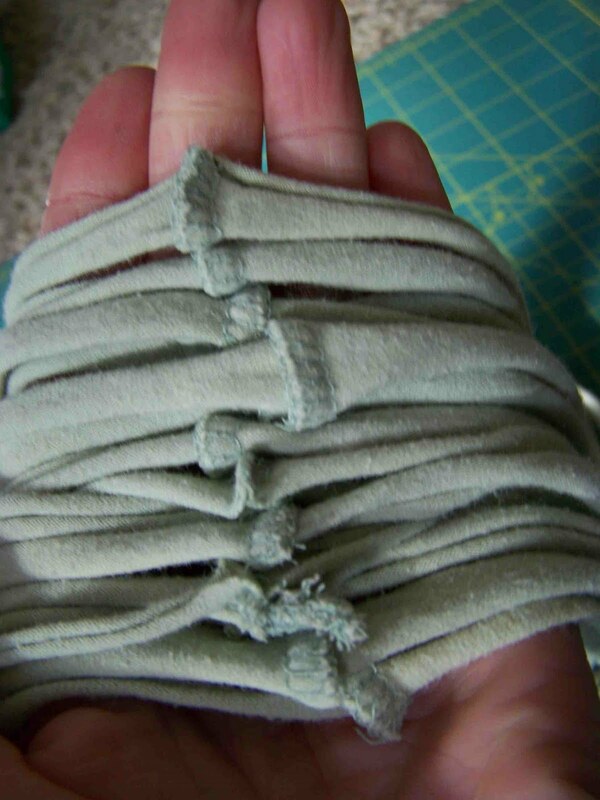 I then used the braid to cover the exposed seams. 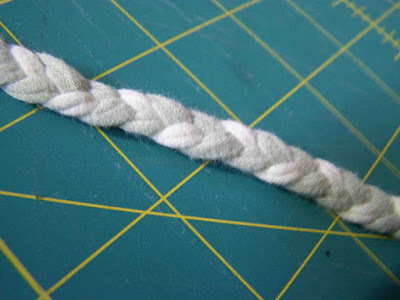 I tied the two ends of the braid in a knot, trimmed the ends, and tucked the knot under the braids. 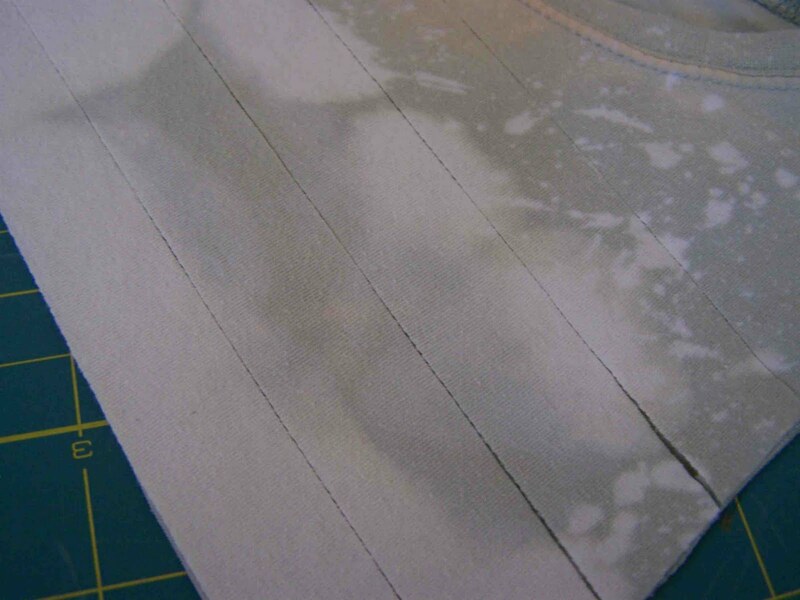 Once your seams are covered your scarf/necklace is complete (unless of course you want to add more details). I had really wanted to do a turk's head knot to cover the seams, but I just don't have the skills. You can wear your scarf anyway you want it. 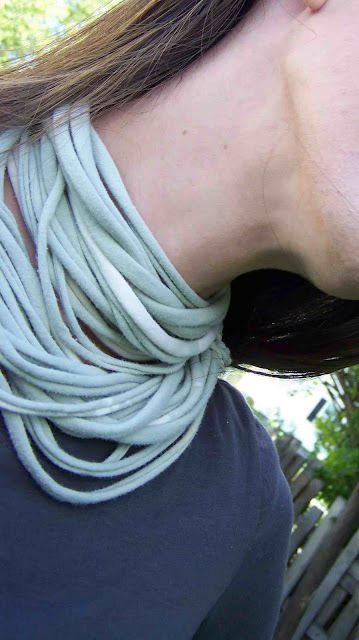 I prefer it looped twice, but you can wear it long as well. I imagine that if you used a larger shirt that you could probably loop it three or four times. Check out the great places I'm link partying today. Totally amazing!!! I just love it! Thank you oh so much for linking up this sweet creation at the FABULOUS FRIDAY FINDS party today!! I hope your weekend is wonderful! Visiting from Shabby Nest -- super cute idea! Just love this! The texture looks so soft and warm. Beautiful. 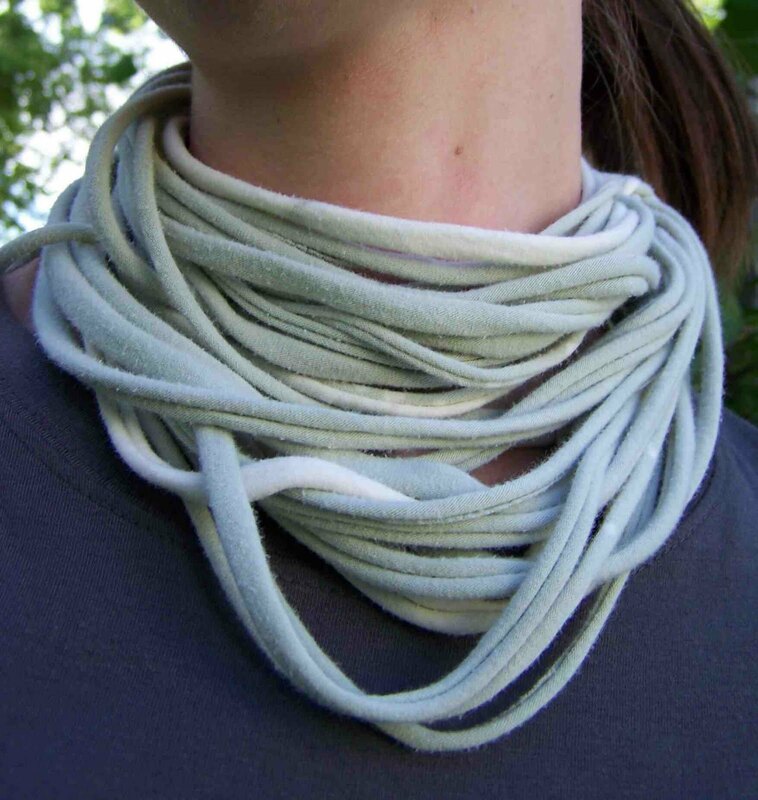 What an unusual looking scarf...you could do so many things with it just as you suggested!! Love this idea, looks so cozy. Tks for sharing! I've always loved the look of these scarves - great for autumn though! And a great way to use up your old tees. Thats so cool - love it - it looks so soft and comfy. I love this look ~ so perfect for fall! Amazing! I tried this a while back but it didn't look nearly as good! its a amazing people with great imagination that goes wild. 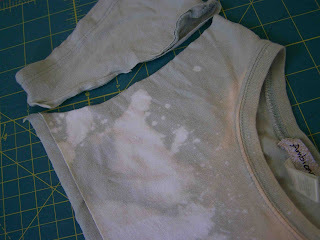 its a good way recycling plain t-shirts into something new. 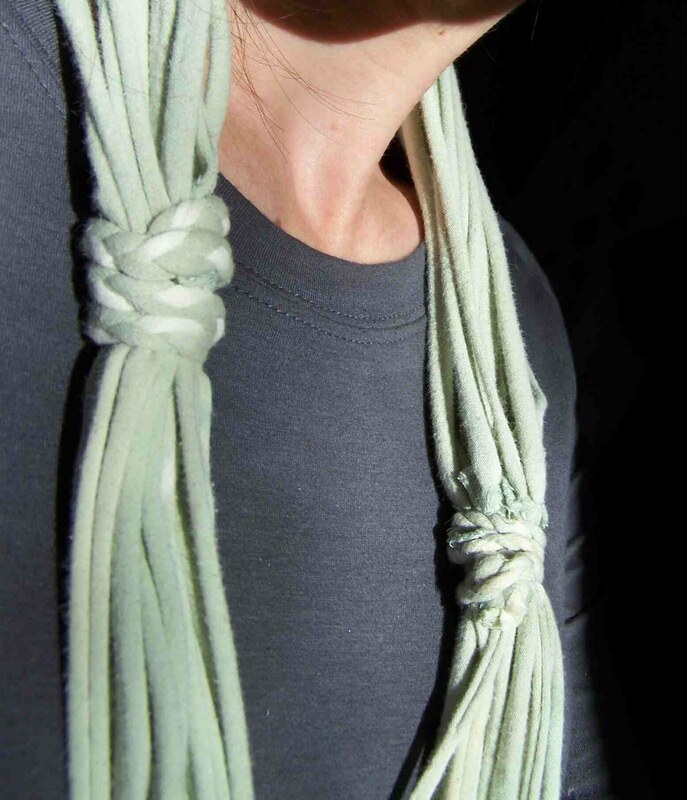 How do you keep the scarf from shedding? That's been the problem with my scarves. 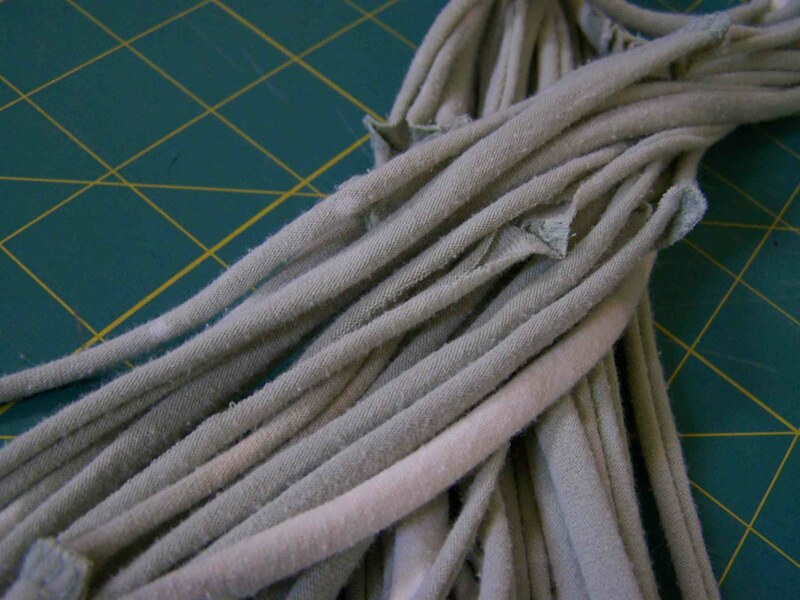 For example, a white scarf on a black sweater leaves white "lint." Not very attractive!